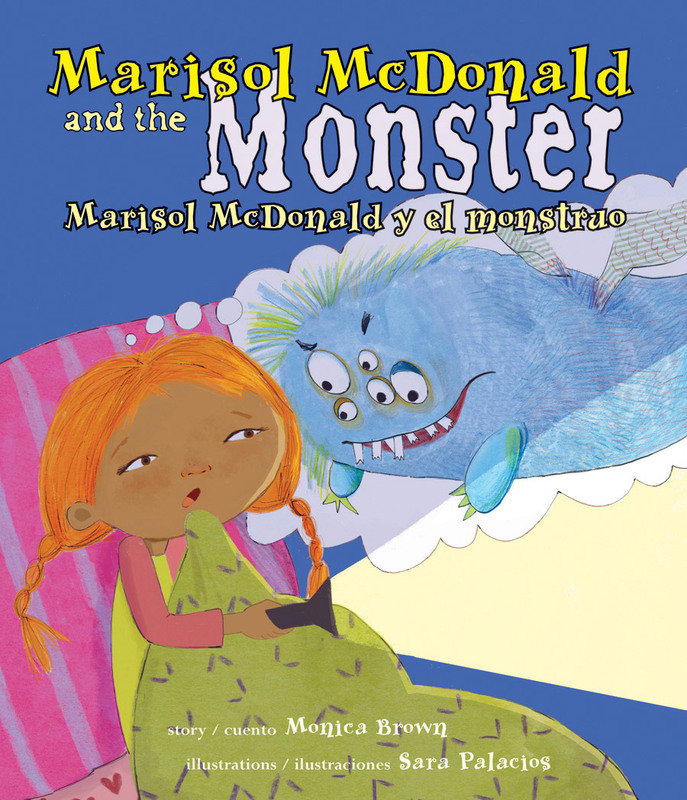 Marisol McDonald loves words that begin with the letter “m” except the word monster. Monsters are scary, with big eyes, wild fur, pointy claws, and sharp teeth. One night, when Marisol hears loud bumps under her bed, she is immediately convinced that a monster is making the noise. Checking under the bed does not reveal a monster, but night after night, the bumps continue. When the bumps become especially loud one night, Marisol bravely leads the charge downstairs to find the cause. Turns out the monster making noise under Marisol's bed does have eyes and fur and teeth, but it isn t scary at all. It s her dog, Kitty, playing ball against the kitchen wall. When Marisol McDonald hears a bump in the night, her imagination goes wild, making her certain there must be a monster beneath her bed. As Marisol explores her fright, she is surrounded by a loving and supportive family. Her parents both reassure her she is safe and provide her the necessary independence to face her fear. After several sleepless nights, Marisol applies her signature pluck to the monster situation, finding a creative way to confront her anxiety head on. Palacios’ mixed-media illustrations temper Marisolâ€™s jitters with whimsy, keeping the imagery on the light side of scary. One drawback to the text is that the effort to emphasize various words that begin with the letter “m” in both English and Spanish strays into didacticism, though the “m” words selected do display great care both from Brown and translator Dominguez, which lovers of words will appreciate. Marisol’s mixed Peruvian and Scottish-American heritage is, as always, a vibrant part of who she is, but cultural identity is not the focus of this work. Marisol is a confident, bicultural girl who brings all parts of herself to the table to overcome a very common worry faced by children the world over.